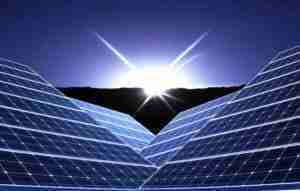 Most of us are familiar with solar energy to some degree. We’ve all seen solar panels on the roofs of houses or other buildings and we know that they are there to generate electricity. But what is solar energy exactly? How can we use it and what are the benefits? The word solar can be defined as; of or relating to the sun. So, solar energy is just energy from the sun. What most of us are interested in is how we can use that energy to our benefit. Using solar energy seems like a relatively new technology, but there is actually some interesting history and people have been using solar energy for a lot longer than you may realize. There was a British astronomer named John Herschel in the 1930s who used a solar thermal collector to cook food while he was on an expedition to Africa. Some people still use similar solar cookers today. In 1888, the French actually developed a solar powered printing press. They used energy from the sun to boil water and produce steam. The steam was then used to power a steam engine which drove a mechanical printing press. Of course the machine was very expensive to build and it wasn’t very reliable either, so it wasn’t until much more recently that using solar energy really started to catch on. The first photovoltaic cells, which convert the sun’s energy directly into electricity, were developed in the late 1800s, but they operated at less than 1% efficiency. In 1954, Bell Labs invented the first practical silicon solar cell which operated with about 6% efficiency. In the 1970s, there was an energy crisis due to decreased oil output following the Iranian Revolution and interest in photovoltaic technology increased significantly. Of course photovoltaic cells are not the only way to harness the energy of the sun. Some people use solar energy to heat water for their homes. This is a very simple technology where water is run through black tubing, usually on the roof of a home or other building, and the hot water can then be used for taking showers, washing dishes, washing clothes, or even heating swimming pools and hot tubs. On an industrial scale, parabolic mirrors are used to concentrate the sun’s rays, heating water to create steam which is then used to turn turbines and generate electricity. This type of system is a very efficient way to create electricity for a public utility, but for individual residential use, photovoltaic cells are much more practical. Using the sun to generate electricity gives us access to clean, renewable electricity that is much better for the environment. And fortunately, improvements in technology have been causing the price of photovoltaic cells to drop in recent years making them more and more affordable. Because of this, their popularity is at an all-time high and there is no better time to get started with your own solar energy system.